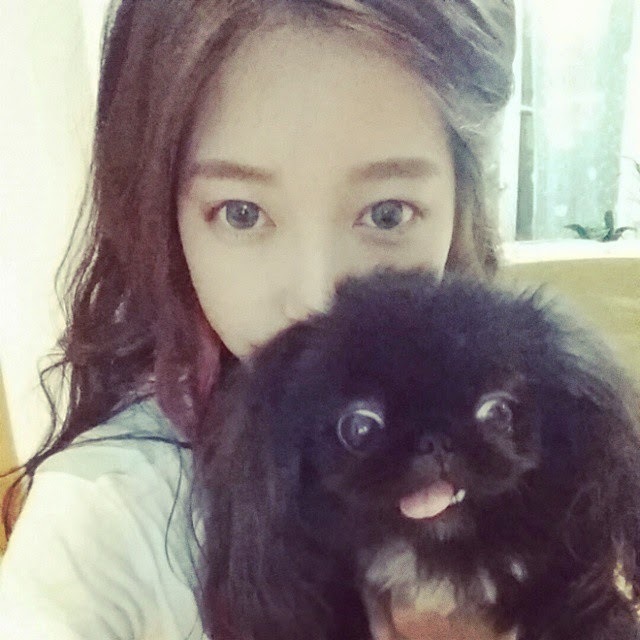 Letting her beloved pet take the spotlight, T-ara's Soyeon has shared pictures featuring Totoro and their friends! Here are Totoro's pictures with Dani, Shannon, and Speed's YuHwan. "Receving love right now. Hyung-ah, I came here to show my charms to my noonas and melt their hearts♥ ㅋㅋㅋㅋㅋㅋ #totoro#dani#speed#yuhwan"
"Where are you looking? look at me #Totoro#Shannon#Dani"